It looks like the highest-grossing R-rated movie of all time is getting a sequel. 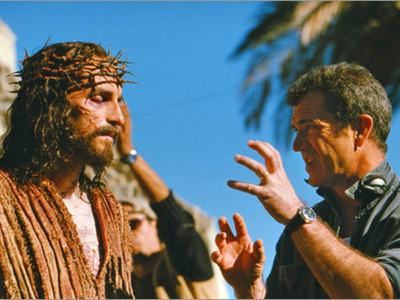 Mel Gibson, who directed “The Passion of the Christ,” has teamed with screenwriter Randall Wallace — who penned Gibson’s other hit directing effort, “Braveheart” — to write a sequel that will tell the story of the resurrection of Jesus, according to The Hollywood Reporter. Wallace, who recently directed the 2014 faith-based drama “Heaven Is for Real,” told THR that motivation to make a sequel has ramped up recently due to demand for it from the Christian community. When “The Passion of the Christ” was first released in 2004, the movie became an instant hit, earning $83.8 million its opening weekend and going on to gross over $611 million worldwide (it was made for just $30 million), even though the dialogue was in Aramaic. Thanks in large part to the evangelical community, which came out to see the film by the bus loads, “Passion” became the biggest R-rated moneymaker in the US. “‘The Passion’ is the beginning and there’s a lot more story to tell,” Wallace told THR. Gibson has been absent from the Hollywood spotlight thanks to his anti-Semitic remarks after being pulled over for driving under the influence 10 years ago and allegations of assault from his ex-girlfriend. Those events made him “blacklisted” within the industry, as writer-director Shane Black (“The Nice Guys”) told Business Insider recently. But recently Gibson has been nearing a sort of comeback. He found acclaim at the Cannes Film Festival for his latest film, “Blood Father,” and he’s finishing up his next directing effort, the World War II drama “Hacksaw Ridge,” starring Andrew Garfield. But if a “Passion” sequel is made and does anywhere close to the business of the original, Gibson would be once more one of the elite figures in the industry. None of that will happen, however, for at least a few years. The sequel is in the early script stage and currently doesn’t have any financial backing.